For some reason, Baldur’s Gate II and Icewind Dale vanished from the App Store a while back. Beamdog, obviously not too happy with the situation, is investigating where they’ve got to. It’s probably a bit more complicated a situation than looking beneath the sofa cushions, but we’re confident that Google and Beamdog can figure it out. Beamdog is a very talented developer that has been hard at work this past decade sprucing up classic Infinity Engine games. These include the original Baldur’s Gate and its sequel, Icewind Dale, Planescape: Torment, and, most recently, Neverwinter Nights. We also got a brand new Baldur’s Gate game in the form of Siege of Dragonspear, which takes place between the events of the first and the sequel. You can grab its portfolio of releases – minus the two missing games – right now on Google Play. 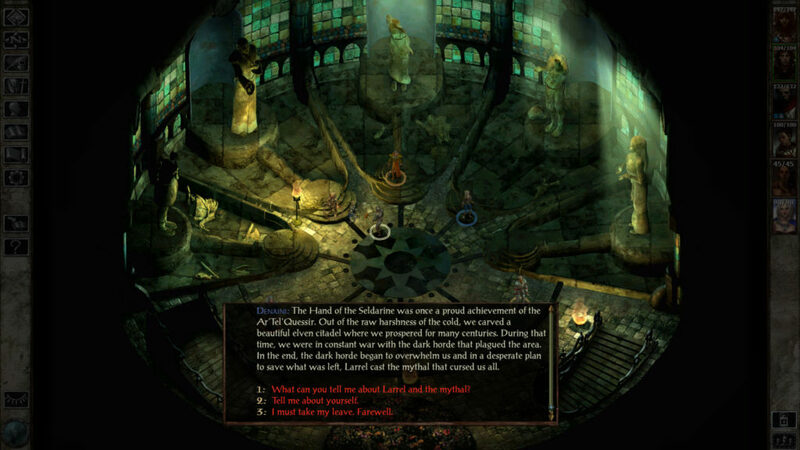 Baldur’s Gate is on sale right now at 50% off too.